Homemade Vanilla Ice Cream and homemade Gingerbread Men, put them together and you have a delicious Ice Cream Sandwich. So Simple to make and great to eat. Something a little different for Christmas that everyone will enjoy. Or send some Love through PayPal every little helps..
Pour the cream into a bowl and whisk until it is nice and stiff. Add a can of sweetened condensed milk into the whipped cream. 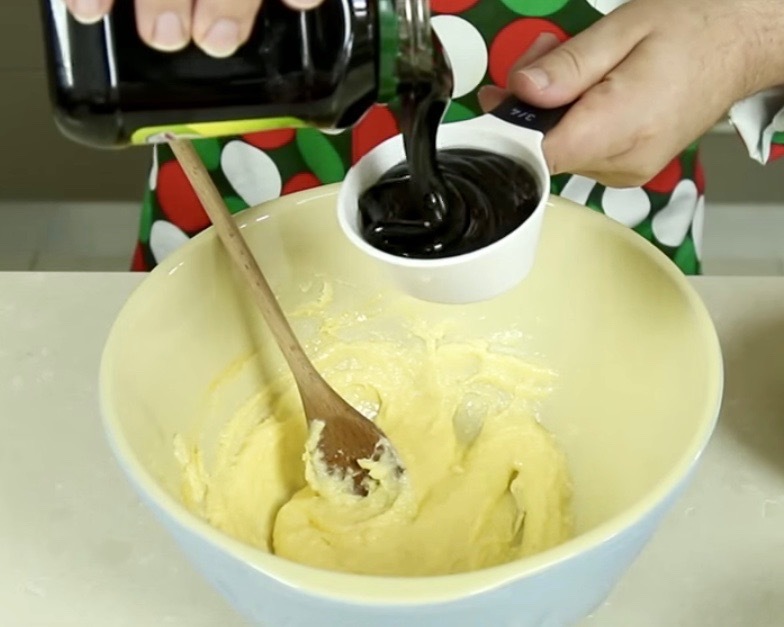 Add the vanilla extract and mix together gently until you have nice even texture. Line a baking tray with baking paper allowing a little to overlap at each end. This will help you remove the ice cream when it is ready. Pour the vanilla mix into the baking tray and place in the freezer to set. Now to make the gingerbread men. Place the butter and sugar together in a bowl and using a wooden spoon cream them together until they are light and fluffy. Break the egg into the bowl and mix together. Add the molasses (I brush the inside of my measuring cup with a little oil as this will help the molasses to fall out easily without sticking). Now add the spices – ginger, cinnamon, cloves and nutmeg. Mix together until you have a smooth batter. Sieve the flour into the bowl and fold in until it starts to come together. I use my hands to bring the dough into one ball. Place in the fridge just to cool down and firm up a little. Line a baking tray with baking paper. 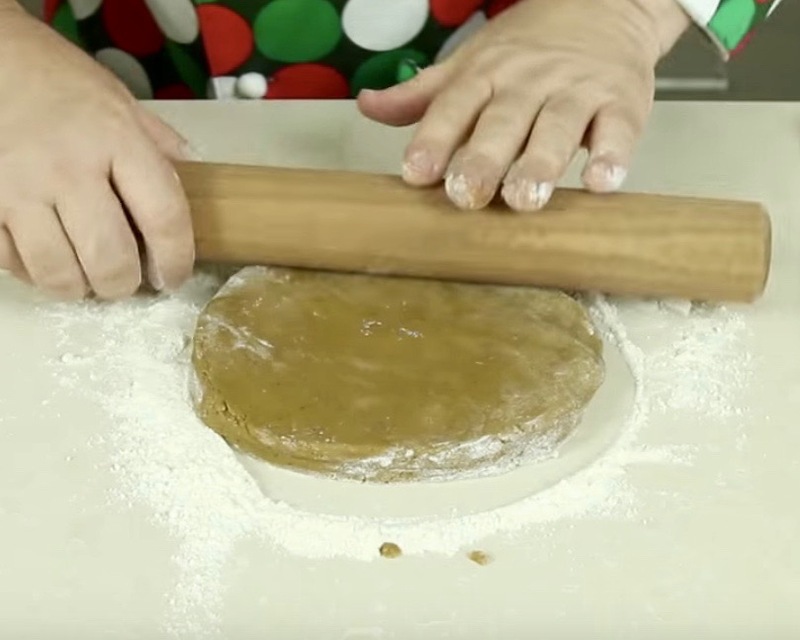 Take the cookie dough and roll it out until it is about 1/2 inch / 1.25cm thick. 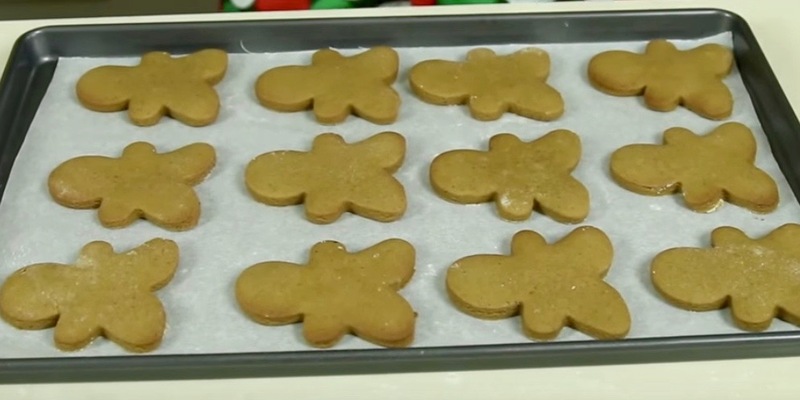 Using a gingerbread man cookie cutter, cut out the shapes and place on the tray. Place the cookies on the tray into the fridge for 20 – 30 minutes. Preheat the oven to 180C / 350F. Place the tray into the preheated oven and cook for 8 – 10 minutes. When golden brown remove from the oven and allow to cool on a cooling rack. Once the ice cream has set remove from the freezer. Gently, using the overhanging paper, remove the ice cream from the tray and place on a flat surface. Using the same size gingerbread man cutter from the cookies, cut out an ice cream gingerbread man. 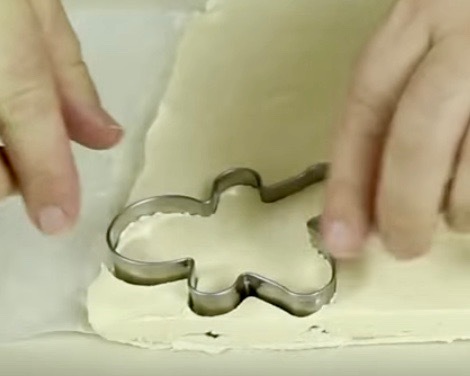 Ease it out of the cutter and place on top of an upside down gingerbread man cookie. Top with another cookie and then pop them into the freezer to set nicely. 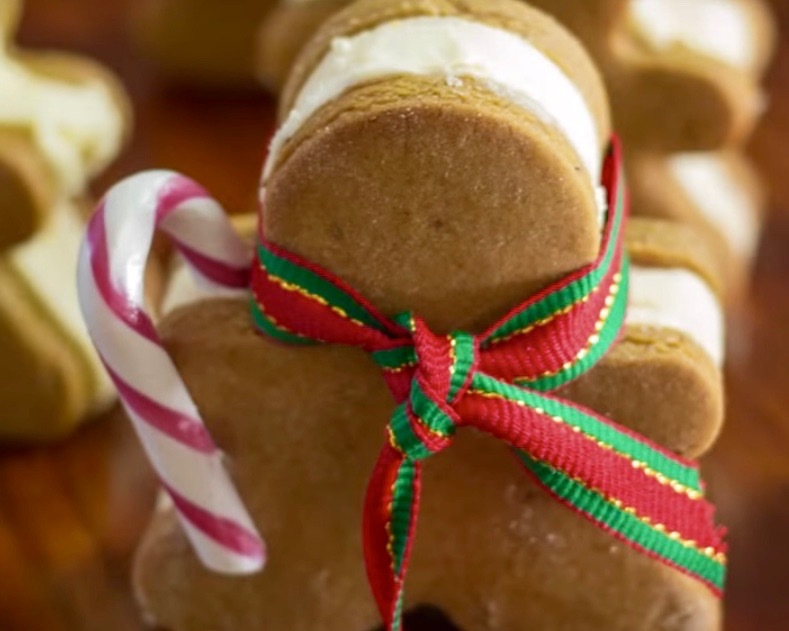 When you are ready to enjoy your gingerbread man ice cream sandwich, remove from the freezer and serve.